Conventional storage structures based on a Hard Disk Driver are not suitable for NAND Flash storage systems. 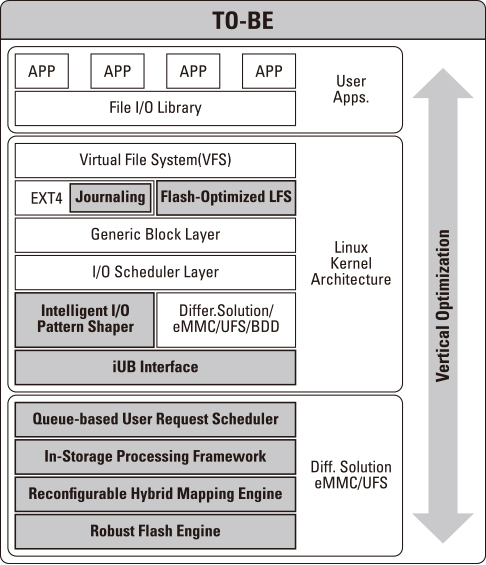 In order to apply the most appropriate solution to NAND Flash storage systems, system integration and vertically well structured systems are required. Vertical optimization from the Host level to the Device level is the key factor to innovate the performance to NAND Flash storage system. 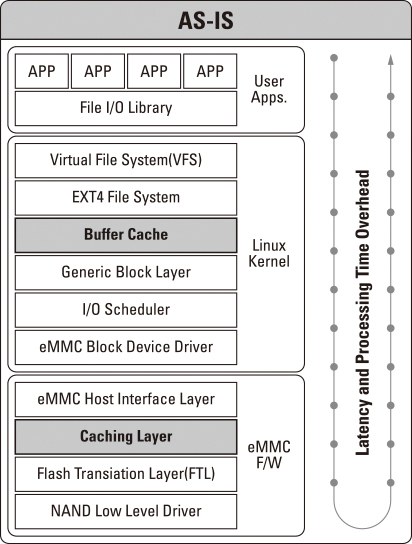 Due to useless schemes like a 'cache layer', NAND Flash storage faces lots of overhead procedures. The-AIO recommends and provides the most proper structure as seen in Graph 2.